December is the coldest month in a year in India. December is also the month where people fete Christmas and New Year. This is the time where we pass through the memory lane of whole year activities and achievements. 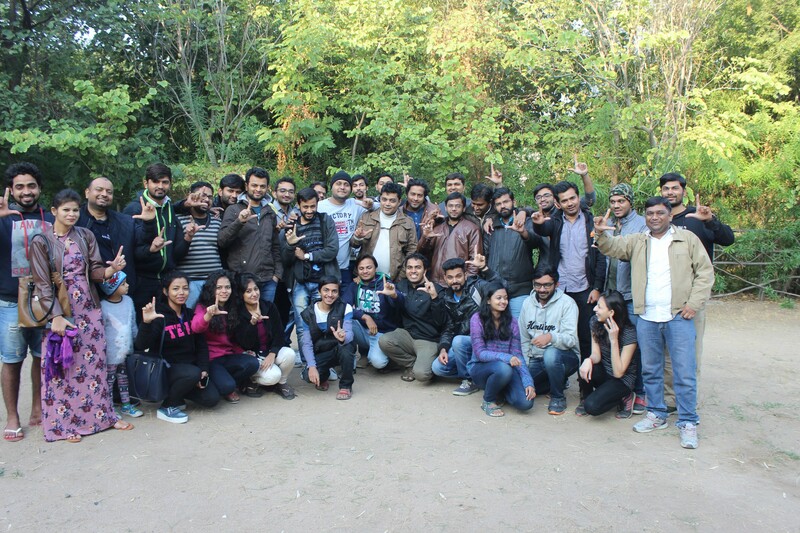 LetsNurture, a website and mobile app development company in Ahmedabad, India having a global presence in USA, Canada, Australia and UK; celebrated this month by doing CSR activities, had fun on Christmas celebration and much more. LetsNurture has always believed to keep nation first before our society. Through various efforts, we have assured that we do every possible thing “to respect the nation and feel the pride which has given so much to us”. So, there is nothing can start our day better than a National Anthem. We have incorporated a unique practice to start every working day at the office with the singing of India’s national anthem at 10:00 AM. The philosophy behind is it rouse energy and positivity within us along with the inspiration to do something new. The month of December had been a festive month at Lets Nurture. With big project deliverables and even bigger celebrations, it has been a month to remember for sure. Our IoT solutions for healthcare industry went live with a great response. Even better, we have started working on next phase for the same. This is a big step towards providing better, convenient and affordable IoT based solutions for the healthcare industry. We launched yet another IoT based solution to cater Fleet management industry leveraging mobile and web application development solutions. The solution has reached to the client for beta testing and the results are very positive. Accurate mapping of the location is the key feature of this solution that is also a useful feature for asset tracking solutions and we are proud to say that the testing results so far indicate a very positive response. While E-commerce is picking up, the Brick-and-Mortar stores are not left behind and are in a way catching the wind back in their sail. We have a beacon based solution just for them too. Locate a mall, see what stores are in there and also see what deals they are offering. All while standing outside the Mall or from your home. There is a heavy integration of augmented reality here as well. We are in the final stages of completing this project and implementation of this solution in the real world is imminent. Love betting? We are coming up with a platform for a same. Android app development is our expertise over the last decade. Actually, it is an existing platform but will be redone from the scratch by LetsNurture. It will be made more scalable, sturdy and fast. Yes, you can bet using this platform for the upcoming IPL season :). Keep following us for more details on the launching of this application. A project which we worked on earlier to let users chat with like-minded viewers while they are watching a TV. Very well.. We are working on Phase 2 of the same. Now you can find people who are watching the show and then you can get to comment on the show or read comments posted by other users. To take a step ahead, now you can do a personal or group chat with the members. That will be taking it to next level. We wonder how will it be used during the Super Bowl. It will definitely be ready way before that. We have developed and delivered projects on social media application development last year for our friends in UK and USA and we are really looking forward to it. For our friends in Switzerland, its okay if you are not a Grease Monkey. We have a platform just for you. It will help you find a car expert who can join you for your next purchase of a second-hand car. They will inspect the car for you and advise you about the same. This service developed by Lets Nurture will be available for you very soon. It has been an exciting year with the launch of more than 20 business platforms. Whether it is mobile app development on various domains, responsive website designs or web application development, IoT solutions and working with devices, AR technology, etc.. We did it all this year. You name it, we did it. And with a successful 2017 in terms of expanding our wings, we are looking forward to 2018 with high hopes. During this month, we also held exciting skill improvement sessions for our mobile app development and Business development teams. The team of Android app development and iOS app development worked upon the following tasks. Business development Team participated in “Throw me your Challenge” which is a great way to learn and deal with the problems in a constructive manner to resolve them. In this, all participants write down their issues at work individually on a piece of paper that may be bothering them, like any project related difficulty or it can be anything. Then crumple them up and throw them in a pile. Separate the participants into groups, and one by one, have each team grab a few problems at random, read the paper and give acute solutions. Each team can read their problems and solutions aloud to the group. It’s a great way to get help, work together while boosting strength within your team. It was yet again a good practice in terms of helping your colleagues to perform better with a common goal in mind. After all that brilliant effort in providing solutions with expertise, now was the time to cherish the moments and success too through Christmas and New Year celebrations. As per indian culture, people always celebrate festivals with family and friends. LetsNurture always counts its employees as a big part of our family. So, we always share happiness with our employees to celebrate the festivals and days which is always filled with recreation activities, gifts distribution and rewards. 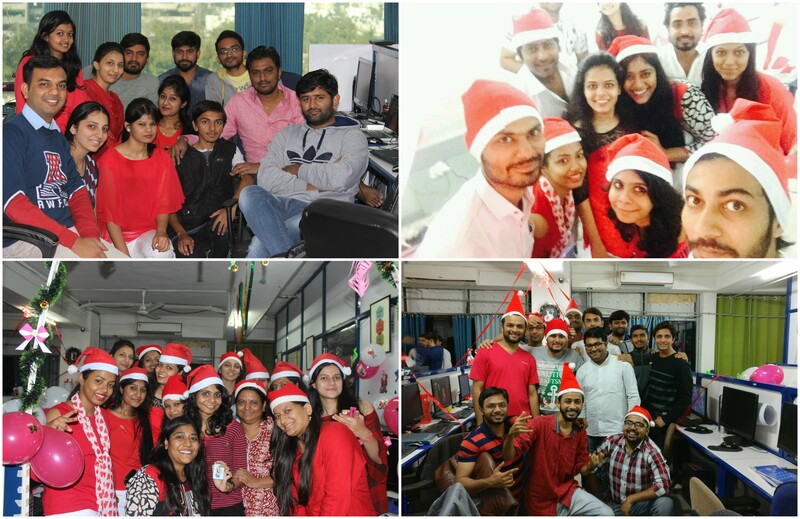 This month we celebrated Christmas with a ‘Desk Decoration Competition’ where we parted our employees in six teams. They decorated their desks with a different themes of Christmas. 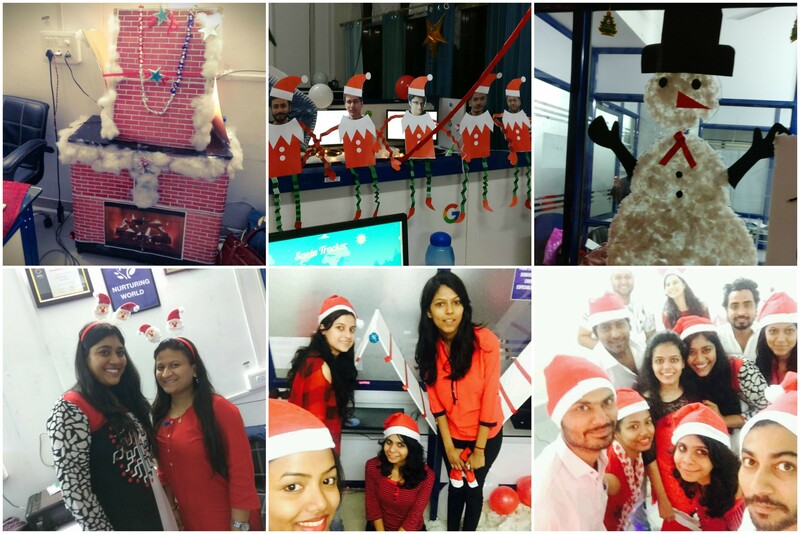 As selfie is a new photoshoot, our employees also took selfies with their decorated desk to capture best moments with colleagues. The vibes in the air were so good that it is just impossible to explain through words. There were smiles all around and the atmosphere was so captivating. We decided to take our whole family on a picnic to end the happening year of 2017 on a high note. Hence, two days before Christmas, we went to Nalsarovar and a place nearby named Gantar NGO where we had an overnight stay. As most of us would find it hard to spare time in our busted routines throughout the year, we thought it would be the best time to plan a picnic to this amazing place. We had a mesmerising trip thoroughly as we had organic breakfast and dinner to eat which is rare for people like us living a hectic life in between ‘Shor in the City’. 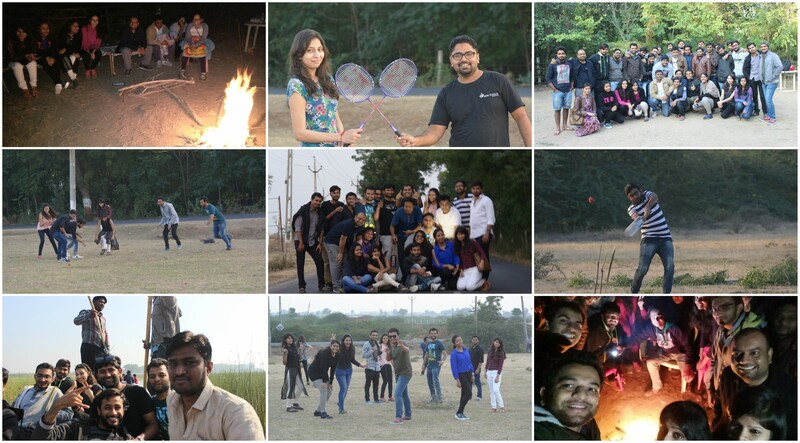 We played many sports like Cricket, Badminton, Kho-kho and had a bonfire in place at night when all of us gathered to chill. We came to know many surprising facts and also came across hidden talent of our colleagues. There was also a late night movie show arranged where we watched ‘Moneyball’. At Nalsarovar, we had a great laugh while having a horse riding, boating and sitting on the shore of the world’s famous bird sanctuary while gazing at the beauty of it. It was never ending beauty along with peace, a sight worth seeing to remember till the sky falls over us. In new year we are welcoming interns who will join us from Jan month. LetsNurture also preparing to move into new office premises in coming year where we added more space for recreational activities. HR department is ready to come up with more fun and CSR activities. Being a prominent IT outsourcing company in Ahmedabad, we at LetsNurture, have always understood the importance of bringing quality in our work and communication and its the reason LetsNurture has always thrived to deliver supreme quality to our clients and employees. If you are looking for a firm where you are not only bound to work but also have regular chance to cherish moments in events and festivals, LetsNurture is definitely the right choice. Join our amazing team.